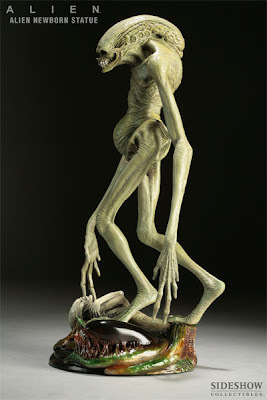 In keeping with our ALIEN theme this week, I wanted to show you some very rare and extraordinary polystone statues now available for pre-order from Sideshow Collectibles. 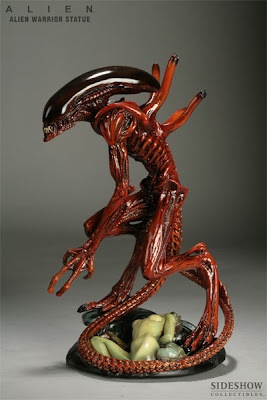 These statues were previously created by a company called Fewture Models and once were only available in Japan. Sideshow has recently acquired the rights to produce and import a limited quantity of these collectibles. 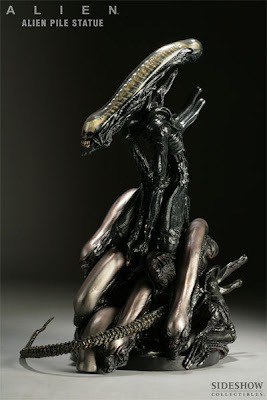 Serious collectors of Alien merchandise will definitely want to look at these rare statues. This is the first time that these intricate statues have been made available outside of Japan. Don't miss the gallery of additional pictures available thru each link below. To celebrate the launch of their Web site, Sideshow will be running random contests and giveaways in the news sections located across the site for the entire week of Monday, March 24th, through Friday, March 28th! Check their Contest homepage beginning Monday to find out how to play!